In this tutorial you will learn how to prepare an eco colored egg for easter. Eco for there are no artificial colorants used. In the second part, learn how to create a 3D naturaly looking egg. This one's from "Boxed Art" site a website builder ecommerce site. 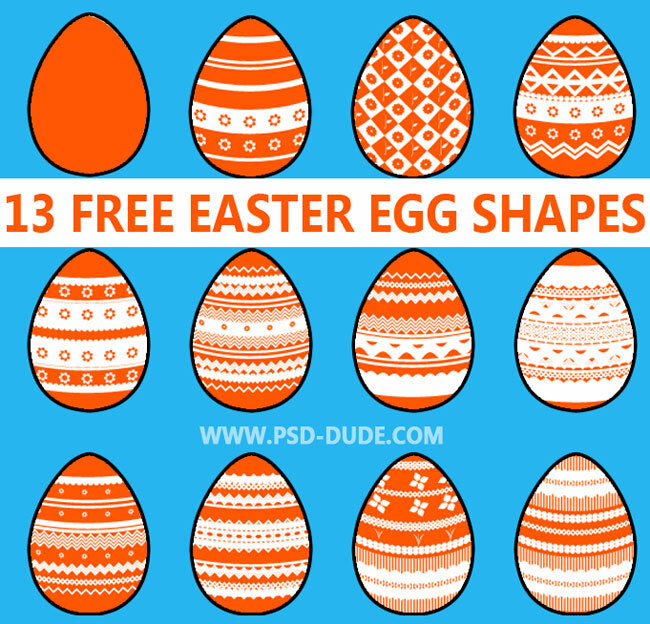 Download these beautiful decorated egg shapes for the upcoming Easter celebration! The CSH file contains 13 Photoshop custom shapes. These shapes were made using a simple egg shape in combination with another set of shapes that I've made, folk decoration shapes. There are lots of other great files there that are FREE. These are actually a lot better than the above ... BUT : these files require a registration ... the site is heavily spam laden so to avoid stalker links, utilize a disposable email address or one filtered by Spamcop! Easter Characters And Signs created by Craig Balbirnie -- Vector Characters for Easter plus some Happy Easter Sign Designs. Welcome to My Shop Signs. Search through this site to find Free Printable Signs to download for all your Sales promotions. Created by Jelena Jovanovic, freelance graphic designer and illustrator working in Belgrade, Serbia. ... and don't forget to stop in on this month's Photoshop Tutorial from Ainseley Bevis for some real sweet chicks, bunnies and eggs! What Photoshop Madness have you been in to ??? Please send in your good, bad, and ugly!